This article is about the city in the state of New York. For other uses, see Yonkers (disambiguation). The city is home to several attractions, including Untermyer Park; Hudson River Museum; Saw Mill River daylighting, wherein a parking lot was removed to uncover a river; Science Barge; Sherwood House; and Yonkers Raceway, a harness racing track that has renovated its grounds and clubhouse and added legalized video slot machine gambling in 2006 in a "racino" called Empire City. Major shopping areas are located in Getty Square, on South Broadway, at the Cross County Shopping Center and Westchester's Ridge Hill, and along Central Park Avenue, informally called "Central Ave" by area residents, a name it takes officially a few miles north in White Plains. Yonkers is known as the "City of Seven Hills" which includes Park Hill, Nodine Hill, Ridge Hill, Cross Hill, Locust Hill, Glen Hill, and Church Hill. The land on which the city is built was once part of a 24,000-acre (97-square-kilometer) land grant called Colen Donck that ran from the current Manhattan-Bronx border at Marble Hill northwards for 12 miles (19 km), and from the Hudson River eastwards to the Bronx River. In July 1645, this area was granted to Adriaen van der Donck, the patroon of Colendonck. Van der Donck was known locally as the Jonkheer or Jonker (etymologically, "young gentleman," derivation of old Dutch jong (young) and heer ("lord"); in effect, "Esquire"), a word from which the name "Yonkers" is directly derived. Van der Donck built a saw mill near where the Nepperhan Creek met the Hudson; the Nepperhan is now also known as the Saw Mill River. Van der Donck was killed in the Peach War. His wife, Mary Doughty, was taken captive and ransomed later. Near the site of van der Donck's mill is Philipse Manor Hall, a Colonial-era manor house which today serves as a museum and archive, offering many glimpses into life before the American Revolution. The original structure (later enlarged) was built around 1682 by Frederick Philipse and his wife Margaret Hardenbroeck. Frederick was a wealthy Dutchman who by the time of his death had amassed an enormous estate, which encompassed the entire modern City of Yonkers, as well as several other Hudson River towns. Philipse's great-grandson, Frederick Philipse III, was a prominent Loyalist during the American Revolution, who, because of his political leanings, was forced to flee to England. All the lands that belonged to the Philipse family were confiscated and sold. For its first two hundred years, Yonkers was a small farming town with an active industrial waterfront. Yonkers's later growth rested largely on developing industry. In 1853, Elisha Otis invented the first safety elevator and the Otis Elevator Company, opened the first elevator factory in the world on the banks of the Hudson near what is now Vark Street. It relocated to larger quarters (now the Yonkers Public Library) in the 1880s. Around the same time, the Alexander Smith and Sons Carpet Company (in the Saw Mill River Valley) expanded to 45 buildings, 800 looms, and over 4,000 workers and was known as one of the premier carpet producing centers in the world. 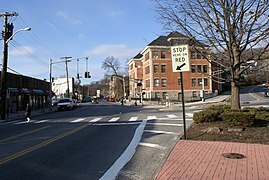 The community was incorporated as a village in the northern part of the Town of Yonkers in 1854 and as a city in 1872. In 1874 the southern part of Yonkers, including Kingsbridge and Riverdale, was annexed by New York City as The Bronx. In 1898, Yonkers (along with Brooklyn, Queens, and Staten Island) voted on a referendum to determine if they wanted to become part of New York City. While the results were positive elsewhere, the returns were so negative in Yonkers and neighboring Mount Vernon that those two areas were not included in the consolidated city, and remained independent. Still, some residents call the city "the Sixth Borough" referring to its location on the New York City border, its urban character, and the failed merger vote. During the American Civil War, two hundred fifty-four Yonkers resident joined the Army and Navy. They enlisted primarily in four different regiments. These included the 6th New York Heavy Artillery, the 5th New York Volunteer Infantry, the 17th New York Volunteers, and the 15th NY National Guard. During the New York City Draft Riots , Yonkers formed the Home Guards. This force of constables was formed to protect Yonkers for rioting that was feared to spread from New York City, which fortunately for Yonkers residents it never did. In total, seventeen Yonkers residents were killed during the Civil War. The New York City and Northern Railway Company (later the New York Central Railroad) connected Yonkers to Manhattan and points north from 1888. A three-mile spur to Getty Square existed until 1943. Aside from being a manufacturing center, Yonkers also played a key role in the development of entertainment in the United States. In 1888, Scottish-born John Reid founded the first golf course in the United States, St. Andrew's Golf Club, in Yonkers. Bakelite, the first completely synthetic plastic, was invented in Yonkers circa 1906 by Leo Baekeland, and manufactured there until the late 1920s. Today, two of the former Alexander Smith and Sons Carpet Company loft buildings located at 540 and 578 Nepperhan Avenue have been repurposed to house the YoHo Artist Community, a collective group of talented artists that works out of private studios there. Early in the 20th century, Yonkers also hosted a brass era automobile maker, Colt Runabout Company; despite the car's seemingly glowing performance, the company went under. Yonkers was also the headquarters of the Waring Hat Company, at the time the nation's largest hat manufacturer. World War II saw the city's factories manufacture such items as tents and blankets in the Alexander Smith and Sons Carpet Factory and tanks in the Otis Elevator factory. After World War II, however, with increased competition from less expensive imports, Yonkers lost much of its manufacturing activity. The Alexander Smith Carpet Company, one of the city's largest employers, ceased operation during a labor dispute in June 1954. In 1983, the Otis Elevator Factory finally closed its doors. With the loss of jobs in the city itself, Yonkers became primarily a residential city, and some neighborhoods, such as Crestwood and Park Hill, became popular with wealthy New Yorkers who wished to live outside Manhattan without giving up urban conveniences. Yonkers's excellent transportation infrastructure, including three commuter railroad lines (now two: the Harlem and Hudson Lines) and five parkways and thruways, as well as its 15-minute drive from Manhattan and picturesque prewar homes and apartment buildings, made it a desirable city in which to live. Yonkers's manufacturing sector has also shown a recent resurgence. On January 4, 1940, Yonkers resident Edwin Howard Armstrong transmitted the first FM radio broadcast (on station W2XCR) from the Yonkers home of C.R. Runyon, a co-experimenter. Yonkers also had the longest running pirate radio station, owned by Allan Weiner during the 1970s through the 1980s. In 1942, a short subway connection was planned between Getty Square and the IRT Broadway–Seventh Avenue Line, which terminates in Riverdale at 242nd Street just slightly south of the city line, but the plan was dropped. In 1960, the Census Bureau reported Yonkers's population as 95.8% white and 4.0% black. The city's struggles with racial discrimination and segregation were highlighted in a decades-long federal lawsuit. After a 1985 decision and an unsuccessful appeal, Yonkers's schools were integrated in 1988. Federal judge Leonard B. Sand ruled that Yonkers had engaged in institutional segregation in housing and school policies for over 40 years and tied the illegal concentration of public housing and private housing discrimination to the city's resistance to ending racial isolation in its public schools. 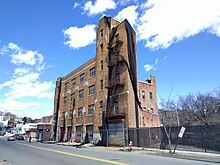 In the 1980s and 1990s, Yonkers developed a national reputation for racial tension, based on a long-term battle between the city and the NAACP over the building of subsidized low-income housing projects. The city planned to use federal funding for urban renewal efforts within Downtown Yonkers exclusively; other groups, led by the NAACP, felt that the resulting concentration of low-income housing in traditionally poor neighborhoods perpetuated poverty. Although the City of Yonkers had been warned in 1971 by the United States Department of Housing and Urban Development against further building of low-income housing in west Yonkers, subsidized housing continued to be built in this area between 1972 to 1977. Yonkers gained national/international attention during the summer of 1988, when it reneged on its previous agreement to build promised municipal public housing in the eastern portions of the city, an agreement it had made in a consent decree after losing an appeal in 1987. After its reversal, the city was found in contempt of the federal courts, and Judge Sand imposed a fine on Yonkers which started at $100 and doubled every day, capped at $1 million per day by an appeals court, until the city capitulated to the federally mandated plan. Yonkers remained in contempt of court until September 9, 1988, when the City Council relented in the wake of library closures and sanitation cutbacks and while looking at massive city layoffs which would have been required to continue its resistance to desegregation. First-term mayor Nicholas C. Wasicsko fought to save the city from financial disaster and bring about unity. Yonkers's youngest mayor (elected at age 28), Wasicsko was a lonely figure in city politics, which was scarred with the stigma of the "Balkanization of Yonkers". He succeeded in helping to end the city's contempt of the courts, but was voted out of office as a result. His story is the subject of a miniseries called Show Me a Hero that aired on HBO in 2015, which is based on the 1999 nonfiction book of the same name by former New York Times writer, Lisa Belkin. A Kawasaki railroad cars assembly plant opened in 1986 in the former Otis plant, producing the new R142A, R143, R160B, and R188 cars for the New York City Subway, and the PA4 and PA5 series for PATH. Yonkers is a diverse community, with residents of many ethnicities. Hispanics are prominent in Yonkers including, but not limited to, large population of Dominicans and Puerto Ricans. Also prominent is the African American community, many of whom migrated north to Yonkers during the Great Migration (African American) from 1930s-1970s. The Irish-American community is prominent in Yonkers, and the city hosts one of the nation's oldest St. Patrick's Day parades. It is also home to a large Italian-American community, and the city hosts a large Columbus Day festival with a "Miss Italian-American" pageant. Yonkers also has a significant Portuguese population. Yonkers also has a large Slavic community. In the early and mid-20th century a large number of people emigrated from Poland, Ukraine, Czechoslovakia, Russia, and Croatia. Recently a large number of immigrants from the former Yugoslavia have called Yonkers home. The Slavic community is centered around St. Casimir's Roman Catholic Church, Most Holy Trinity Roman Catholic Church, Holy Trinity Russian Orthodox Church, and St. Michael's Ukrainian Catholic Church. The city also has a stanytsia (branch) of Plast. Yonkers also has a large Arab population, coinciding with the high percentage of Arabic speakers in Yonkers. Most of these Arabs come from the Levant region, mainly from Jordan, Palestine, and Lebanon, and are of the Christian faith. The Arabic community specifically Jordanian currently has three churches in the city, Virgin Mary Orthodox Church, St Mary's Roman Catholic Church, and Christ the Savior Melkite Church. The community settled in Yonkers in the late 1940s and has since continued a steady growth. There also once was a significant Jewish population (the Broadway plays Lost in Yonkers and Hello Dolly take place within the Yonkers Jewish community). However, it has since dwindled. In the 2000s, some areas bordering similar neighborhoods in Riverdale, Bronx began seeing an influx of Orthodox Jews. Subsequently, Riverdale Hatzalah Volunteer Ambulance Service began serving some neighborhoods in the southwest section of the city. There is also a small Jewish cemetery, the Sherwood Park Cemetery. The city is spread out over hills rising from near sea level at the eastern bank of the Hudson River to 416 feet (126 m) at Sacred Heart Church, whose spire can be seen from Long Island, New York City, and New Jersey. 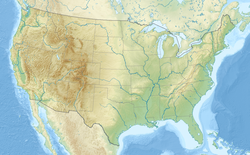 The city occupies 20.3 square miles (52.6 km²), including 18.1 square miles (46.8 km²) of land and 2.2 square miles (5.8 km²) (11.02%) of water, according to the United States Census Bureau. The Bronx River separates Yonkers from Mount Vernon, Tuckahoe, Eastchester, Bronxville, and Scarsdale to the east. The town of Greenburgh is to the north, and on the western border is the Hudson River. On the south, Yonkers borders the Riverdale, Woodlawn, and Wakefield sections of The Bronx. In addition, the southernmost point of Yonkers is only 2 miles (3 kilometres) north of the northernmost point of Manhattan when measured from Broadway & Caryl Avenue in Yonkers to Broadway & West 228th Street in the Marble Hill section of Manhattan. Much of the city grew up around the Saw Mill River, which enters Yonkers from the north and feeds into the Hudson River in the Getty Square neighborhood. Portions of the Saw Mill River that were buried in flumes beneath parking lots are being uncovered, or "daylighted". The gentilic for residents is alternately Yonkersonian or Yonkersite. Yonkers has 4 distinct seasons featuring cold, moderately snowy winters and hot humid summers, with average lows of 20 °F in January, and average highs of 85 °F in July. As it is located directly north of New York City, Yonkers lies in the transition zones between the Humid subtropical climate and the Humid continental climate zone, sharing features of both climate zones. The climate of Yonkers and its surroundings is analogous to eastern Bulgaria and northern Honshu. As of the census of 2010, there were 195,976 people in the city. The population density was 10,827.4 people per square mile (4,187.5/km²). There were 80,839 housing units at an average density of 4,466.2 per square mile (1,727.3/km²). The racial makeup of the city was 55.8% White, 18.7% African American, 0.7% Native American, 5.9% Asian, 0.1% Pacific Islander, 14.7% from other races, and 4.1% from two or more races. 34.7% of the population were Hispanic or Latino of any racial background. Non-Hispanic Whites were 41.4% of the population in 2010, down from 89.9% in 1970. According to the 2000 Census, 19.9% were of Italian and 11.6% Irish descent. 61.3% spoke only English at home; 22.7% spoke Spanish, 5% Arabic, 3.9% Italian, and 1.3% Portuguese at home. There were 74,351 households out of which 30.9% have children under the age of 18 living with them in 2000, 44.2% are married couples living together, 17.2% have a female householder with no husband present, and 33.7% are non-families. 29.2% of all households are made up of individuals and 11.9% have someone living alone who is 65 years of age or older. The average household size is 2.61 and the average family size is 3.23. In 2000, the city the population is spread out with 24.3% under the age of 18, 8.8% from 18 to 25, 30.6% from 25 to 45, 21.2% from 45 to 65, and 15.0% who are 65 years of age or older. The median age is 36 years. For every 100 females, there are 88.6 males. For every 100 females age 18 and over, there are 84.2 males. The median income for a household in the city was $44,663 in 2000, and the median income for a family is $53,233. Males have a median income of $41,598 versus $34,756 for females. The per capita income for the city is $22,793. 15.5% of the population and 13.0% of families are below the poverty line. Out of the total population, 24.8% of those under the age of 18 and 9.9% of those 65 and older are living below the poverty line. Though Yonkers contains many small residential enclaves and communities, it can conveniently be divided into four quarters, demarcated by the Saw Mill River. There are 37 or more distinct neighborhoods, though many of these names are rarely used today except by older residents and real-estate brokers. 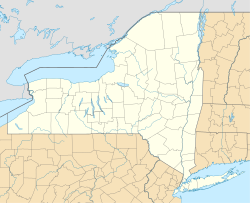 Northeast Yonkers is a primarily Irish-American and Italian-American area. House sizes vary widely, from small houses set close together, to larger homes in areas like Lawrence Park West, and mid-rise apartment buildings along Central Avenue (NY 100). Central Avenue (officially named Central Park Avenue) provides an abundance of shopping for Yonkers residents. Shopping centers along Central Avenue include stores such as Best Buy, Burlington Coat Factory, Kohl's, Bob's Furniture and Barnes & Noble, as well as many other stores and restaurants. Notable former residents include Steven Tyler (born Steven Tallarico) of the rock band Aerosmith, whose childhood home was just off Central Avenue on Pembrook Drive. Northeast Yonkers contains the upscale neighborhoods of Crestwood, Colonial Heights, and Cedar Knolls, as well as the wealthy enclaves of Beech Hill and Lawrence Park West. It also contains a gated community off the eastern edge of the Grassy Sprain Reservoir known as Winchester Villages. Landmarks include St Vladimir's Seminary, as well as Sarah Lawrence College, and the Tanglewood Shopping Center (one-time home of The Tanglewood Boys gang). Northeast Yonkers is somewhat more expensive than the rest of the city, and due to the proximity of several Metro-North commuter railroad stations, its residents tend to be employed in corporate positions in Manhattan. The Blue Cube, a landmark former factory on the Northwest Yonkers waterfront. Northwest Yonkers is a collection of widely varying neighborhoods, spanning from the Hudson River to around the New York State Thruway/I-87 and from Ashburton Avenue north to the Hastings-on-Hudson border. With the Hudson River bordering it to the west, this area has many Victorian-era homes with panoramic views of the Palisades. An interest in historic preservation has taken hold in this neighborhood in recent years,[when?] as demonstrated on streets like Shonnard Terrace, Delavan Terrace, and Hudson Terrace. Neighborhoods include Nepera Park, Runyon Heights, Homefield, Glenwood, and Greystone. Landmarks include the Hudson River Museum, the Lenoir Nature Preserve, and the nationally recognized Untermyer Park and Gardens. The significant amount of surviving Victorian architecture and 19th-century estates in northwest Yonkers has attracted many filmmakers in recent years. In fact, the Untermyer Park and Gardens is not only Yonkers hidden gem but is the number one attraction in Westchester County. The two block section of Palisade Avenue between Chase and Roberts Avenues in northwest Yonkers is colloquially known as "the north end" or "the end". It was and still is the only retail area in the neighborhood, and was well known for an original soda fountain store, "Urich's," and Robbins Pharmacy. It was once the end of the #2 trolley line, which has since been replaced by a Bee-line Bus route. One part of Yonkers that is sometimes overlooked is Nepera Park. This is a small section at the northern part of Nepperhan Avenue on the Hastings-on-Hudson border. Nepperhan Avenue in Nepera Park is also a major shopping district for the area. Southeast Yonkers is mostly Irish-American (many of the Irish being native born) and Italian-American. Many of the businesses and type of architecture in southeast Yonkers bear a greater resemblance to certain parts of the Bronx, Brooklyn, Queens, or Staten Island than to points north. Southeastern Yonkers is largely within walking distance of the Woodlawn and Wakefield sections of the Bronx. Many residents regard eastern McLean Avenue, home to a vibrant Irish community shared with Woodlawn, to be the true hub of Yonkers. Similarly, a portion of Midland Avenue in the Dunwoodie section has been called the "Little Italy" of Yonkers. Landmarks of southeastern Yonkers include the Cross County Shopping Center, Yonkers Raceway, and St. Joseph's Seminary in the Dunwoodie neighborhood, which was visited by Pope John Paul II in October 1995 and later by Pope Benedict XVI in April 2008. Getty Square is Yonkers' downtown and the civic center and central business district of the city. Much of southwest Yonkers grew densely along the multiple railroads and trolley (now bus) lines along South Broadway and in Getty Square, connecting to New York City. Clusters of apartment buildings surrounded the stations of the Yonkers branch of the New York and Putnam Railroad and the Third Avenue Railway trolley lines and these buildings still remain although now served by the Bee-Line Bus System. The railroad companies themselves built neighborhoods of mixed housing types ranging from apartment buildings to large mansions in areas like Park Hill wherein the railroad also built a funicular to connect it with the train station in the valley. This traditionally African-American and white area has seen a tremendous influx of immigrants from Mexico, Central America, the Caribbean, South Asia, and the Middle East. Off South Broadway and Yonkers Avenue one can find residential neighborhoods, such as Lowerre, Nodine Hill, Park Hill, and Hudson Park (off the Hudson River) with a mix of building styles ranging from dense clusters of apartment buildings, blocks of retail with apartments above, multifamily row houses, and detached single-family homes. Other neighborhoods of these types, although with a larger number of detached houses, are Ludlow Park, Hudson Park, and Van Cortlandt Crest, off Riverdale Avenue next to the border with Riverdale. The area is also home to significant historical and educational institutions including the historic Philipse Manor Hall (a New York State Historic Site that houses one of three papier-mache ceilings in the United States), The Science Barge, Beczak Environmental Education Center, and a 2003 Yonkers Public Library. Many residents are of African, Caribbean, Italian, or Mexican descent while an influx those from other cultural backgrounds has continued to shape a culturally diverse community. Some neighborhoods right on the Riverdale border are increasingly becoming home to Orthodox Jews. The revitalization of the Getty Square area has helped to nurture growth for Southwest Yonkers. In the early 2000s several new luxury apartment buildings, such as 66 Main, were built along the Hudson. There is also a new "Sculpture Meadow on the Hudson," renovation of a Victorian-era pier, and a new public library housed in the remodeled Otis elevator factory. Peter Kelly's award-winning fine dining restaurant X20 - Xaviars on Hudson is located at the renovated pier with much success. There are new proposals along with the current projects which are intended to revitalize downtown Yonkers. Yonkers is governed via a mayor-council system. The Yonkers City Council consists of seven members, six each elected from one of six districts, as well as a Council President to preside over the council. The mayor and city council president are elected in a citywide vote. The current mayor is Democrat Mike Spano and the Council President is Michael Khader. Yonkers is typically a Democratic stronghold just like the rest of Westchester County and most of New York state on the national level. In 1992, Yonkers voted for George H. W. Bush over Bill Clinton and Ross Perot for president, but has voted solidly Democratic ever since. At a local level, recent mayors of Yonkers have included Republicans Phil Amicone and John Spencer, while the Yonkers City Council has mostly been controlled by Republicans. In the State Assembly, Yonkers is represented by Democrats J. Gary Pretlow and Nader Sayegh, and in the New York State Senate, by Democrats Andrea Stewart-Cousins and Shelley Mayer. At the federal level, Democratic representative Eliot Engel represents the city. Public schools in Yonkers are operated by Yonkers Public Schools. Sarah Lawrence College, which gives its address as Bronxville/Yonkers, is actually located in Yonkers. Westchester Community College operates a number of extension centers in Yonkers, with the largest one at the Cross County Shopping Center. Libraries are operated by the Yonkers Public Library. The Japanese School of New York was located in Yonkers for one year; on August 18, 1991 the school moved to Yonkers from Queens, New York City and on September 1, 1992 classes began at its current location in Greenwich, Connecticut. St. Peter's Catholic Elementary School at 204 Hawthorne Avenue, founded by the Sisters of Charity, celebrated its 100th anniversary in September 2011. Academy for Jewish Religion, a rabbinical and cantorial school, is located in the Getty Square neighborhood of Yonkers. Saint Vladimir's Orthodox Theological Seminary is located in Crestwood. Yonkers has the eleventh-highest rate of public transit ridership among cities in the United States, and 27% of Yonkers households do not own a car. Bus service in Yonkers is provided by Westchester County Bee-Line Bus System, the second-largest bus system in New York State, along with some MTA Bus Company express routes to Manhattan. Yonkers is the top origin and destination for the Bee-Line Bus service area, including Westchester and the northern Bronx, with the Getty Square intermodal hub seeing passenger levels in the millions annually. Yonkers is served by two heavy-rail commuter lines. Hudson Line Metro-North Railroad stations provide commuter service to New York City: Ludlow, Yonkers, Glenwood and Greystone. The Yonkers station is also served by Amtrak. All of the named Empire Service trains except the Lake Shore Limited serve the Yonkers station. Several Harlem Line stations are on or very near the city's eastern border. These include Wakefield, Mt. Vernon West, Fleetwood, Bronxville, Tuckahoe and Crestwood. A third commuter line dating from the late 19th century, the Putnam Division, was shut down in phases with the final passenger trains making their last runs in 1943. New York Water Taxi formerly operated a ferry service from downtown Yonkers to Manhattan's Financial District, but it ceased in December 2009. Yonkers began a dockless bikeshare program operated by LimeBike in May 2018. 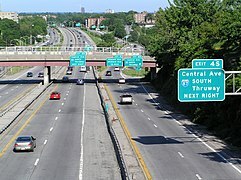 Major limited-access roads in Yonkers include Interstate 87 (the New York State Thruway), the Saw Mill, Bronx River, Sprain Brook and Cross County parkways. US 9, NY 9A and 100 are important surface streets. The main line of the former New York and Putnam Railroad running through the middle of Yonkers has been converted into a paved walking and bicycling path, called the South County Trailway. It runs north-south in Yonkers from the Hastings-on-Hudson border in the north to the Bronx border in the south at Van Cortlandt Park where it is unpaved as of 2014[update] and is referred to as the Putnam Trail. The historic Croton Aqueduct tunnel has a hard-packed dirt trail, called the Old Croton Aqueduct Trailway, running above it for most of its length in Yonkers, with a few on-street routes on the edge of the Getty Square neighborhood. The city of Yonkers is protected by 459 firefighters of the city of Yonkers Fire Department (YFD), under the command of a Fire Commissioner and 3 Deputy Chiefs. Founded in 1896, the YFD operates out of 11 Fire Stations, located throughout the city in 2 Battalions, under the command of 1 Assistant Chief per shift. The Yonkers Fire Department also operates a fire apparatus fleet of 10 Engines, 6 Ladders, 1 Squad (rescue-pumper), 1 Rescue, 1 Fireboat, 1 Air Cascade Unit, 1 USAR (Urban Search And Rescue) Collapse Unit, 1 Foam Unit, 1 Haz-Mat Unit, and numerous other special, support, and reserve units. The YFD responds to approximately 16,000 emergency calls annually. Michaela Odone (née Murphy), mother of Lorenzo Odone, whom Lorenzo's oil is named after. Samuel Untermyer, Prominent lawyer and civic leader known for bequeathing his Yonkers, New York estate, now known as Untermyer Park and Gardens, to the people of Yonkers. In the 1925 popular song "If You Knew Susie", the narrator drives his girlfriend Susie to Yonkers from which he had to walk home. In the Depression-era film Don't Tell the Wife (1937) Guy Kibbee's character, Malcolm J. Winthrop, lives in Yonkers. One of the characters jokes that going to jail is "better than Yonkers." In the Twilight Zone episode, "What's in the Box" (1964) William Demarest's character, cab driver Joe Britt, mentions Yonkers as one of his customers' locations as a reason for coming home late from work. Yonkers is the setting of two feature films by local filmmaker Robert Celestino: Mr. Vincent, a 1997 Sundance Film entrant in the non-competition Spectrum section, and Yonkers Joe, a scheduled 2009 release by Magnolia Pictures, starring Chazz Palminteri and Christine Lahti. Yonkers' locations also provide the setting for A Tale of Two Pizzas, a "Romeo and Juliet" theme played out among two rival pizza owners. The documentary Brick by Brick: A Civil Rights Story described racial discrimination and housing segregation in Yonkers. The film Doubt, starring Meryl Streep as Sister Aloysius Beauvier, filmed scenes at St. Marks Lutheran Church's school. Yonkers is also the location for many major filming projects: Catch Me if You Can, with Tom Hanks and Leonardo DiCaprio; Eternal Sunshine of the Spotless Mind, with Jim Carrey and Kate Winslet; Mona Lisa Smile, with Julia Roberts; A Beautiful Mind, with Russell Crowe, Big Daddy, with Adam Sandler, The Preacher's Wife (a remake of The Bishop's Wife), with Denzel Washington and Whitney Houston; and Kate and Leopold, with Meg Ryan and Hugh Jackman. Some TV series' episodes of Fringe, The Blacklist, and The Following were taped in the downtown area. the City Hall Courtroom is also the setting for many film scenes and commercials. Yonkers was also used as a filming location in the movie Riding in Cars with Boys. In Max Brooks's novel, World War Z, the US armed forces are defeated in the Battle of Yonkers by a horde of zombies. Yonkers is one of the settings in the musical Hello Dolly! A character in the musical Gypsy: A Musical Fable is named after Yonkers. Neil Simon's play Lost In Yonkers, set in the city. The story is about two young boys during World War II, whose father leaves them with their grandmother in Yonkers so he can earn money for the family. Yonkers was shown on A Shot at Love 2 with Tila Tequila as it was contestant Kristy's hometown. Yonkers is mentioned in Bon Jovi's song "Raise Your Hands". In 2011, rapper Tyler, The Creator of Odd Future released his song "Yonkers". On October 21, 2011, filming for the movie Disconnect (2012) took place at the Cross County Shopping Center. The HBO miniseries Show Me a Hero takes place, and was filmed, in Yonkers. ^ "Yonkers". Collins Dictionary. n.d. Retrieved September 24, 2014. ^ a b "Annual Estimates of the Resident Population: April 1, 2010 to July 1, 2016 Population Estimates Yonkers city, New York". United States Census Bureau. Retrieved September 8, 2017. ^ Erik (August 19, 2009). "Interactive Map: Dutch Place Names in New York | Dutch New York". Thirteen.org. Retrieved September 16, 2011. ^ Atkins, Thomas Astley (1892). 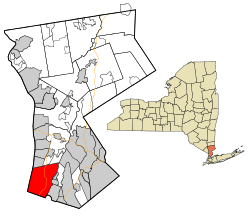 Yonkers in the Rebellion 1861-1965. The Yonkers Soldiers' and Sailors' Monument Association. pp. 21–73. ^ Kinlock, Ken. "New York Central\'s Putnam Division". kinglyheirs.com. ^ Heitman, Charles E. (1911). "The Home Problem in Great Cities and How Engineering Achievement is Solving It". Cassier's Magazine. Cassier's Magazine. ^ Fallon, Bill (March 3, 2008). "Industrial Arts: Carpet Mills Become Studio Central," Westchester County Business Journal, p. 49. ^ a b c d e Yonkers in the World War. Norwood, Mass. : The Plimpton Press. 1922. ^ No apparent relation to Colt's Patent Firearms. Clymer, Floyd. Treasury of Early American Automobiles, 1877-1925 (New York: Bonanza Books, 1950), p.63. ^ "Wants Subway Extended: Yonkers Mayor to Ask City to Take Over N.Y.C. Branch" (PDF). New York Times. June 27, 1942. Retrieved August 17, 2015. ^ a b c d e "New York - Race and Hispanic Origin for Selected Cities and Other Places: Earliest Census to 1990". U.S. Census Bureau. Archived from the original on August 6, 2012. Retrieved April 21, 2012. ^ Esannson, Harold; Bagwell, Vinnie (1993). A Study of African-American Life in Yonkers From the Turn of the Century. Harold Esannson. p. 50. ^ "Leonard B. Sand, Judge in Landmark Yonkers Segregation Case, Dies at 88". New York Times. December 5, 2016. Retrieved May 10, 2018. ^ "Sherwood Park Cemetery, Yonkers, Westchester County, New York, United States - Nearby Cities, Nearby Cemeteries and Genealogy Resources - Histopolis". Test.histopolis.com. November 21, 2012. Archived from the original on January 25, 2013. Retrieved March 12, 2013. ^ "Wordsmith.org -- Online Chat with Paul Dickson". wordsmith.org. ^ a b "Yonkers (city), New York". State & County QuickFacts. U.S. Census Bureau. Archived from the original on May 8, 2012. Retrieved May 14, 2012. ^ "American Fact Finder". U.S. Census Bureau. Archived from the original on May 20, 2011. Retrieved March 24, 2011. ^ "Yonkers Victorian Homes". victoriansource.com. ^ "Welcome to the Yonkers Public Library!-Hours and Directions". Ypl.org. December 7, 2008. Archived from the original on July 29, 2008. Retrieved May 6, 2009. ^ Johnson, Liz (February 3, 2010). 'No Reservations' Hudson Valley Style: Tony Bourdain and Bill Murray Dine at X20. "Small Bites: Food Finds in the Lower Hudson Valley". Accessed February 6, 2011. ^ X2O Xaviars On The Hudson. Xaviars Restaurant Group. Accessed July 13, 2015. ^ "Sarah Lawrence College. A Deeper Education". Retrieved June 20, 2013. ^ haasdesign: Renee Haas. "History". The Village of Bronxville. Archived from the original on November 11, 2012. Retrieved March 12, 2013. ^ "Page not found - Westchester Community College". sunywcc.edu. Archived from the original on February 24, 2014. Retrieved February 15, 2014. ^ "本校の歩み Archived January 17, 2014, at Archive.today." The Japanese School of New York. Retrieved on January 10, 2012. "1980.12.22 Queens　Ｆlushing校に移転。" and "1991.8.18. Westchester Yonkers校へ移転。" and "1992.9.1 Connecticut Greenwich校へ移転。 授業開始。"
^ "Bee-Line System On-Board Survey" (PDF). Transportation.westchestergov.com. ^ Strauss, Michael (September 13, 1981). "MEMORIES CLICK ALONG THE PUTNAM LINE". The New York Times. ^ New York Water Taxi. "Ferry Between Manhattan and Yonkers Is Set to Stop", The New York Times. Retrieved September 24, 2011. ^ "Yonkers bike-share program launching by end of May". Lohud.com. Retrieved September 15, 2018. ^ "List of Fire Department Apparatus; City of Yonkers". Yonkersny.gov. Archived from the original on December 23, 2010. Retrieved August 21, 2012. ^ Associated Press. "Ralph Goldstein, 83, Olympian With Lasting Passion for Fencing", The New York Times, July 28, 1997. Accessed February 7, 2018. "Mr. Goldstein, who was born Oct. 6, 1913, in Malden, Mass., and grew up on the Lower East Side, attended Brooklyn College and had lived in Yonkers since 1948." ^ B.G. De Sylva, Joseph Meyer, If You Knew Susie, Shapiro, Bernstein & Co., 1925. ^ "Brick by Brick: A Civil Rights Story". California Newsreel. Archived from the original on July 17, 2015. Retrieved August 7, 2015. ^ "Tyler, The Creator Gets Odd In 'Yonkers'". Rapfix.mtv.com. February 11, 2011. Retrieved March 12, 2013. ^ "Final filming for 'Show Me A Hero' underway in Yonkers". News 12. Archived from the original on June 19, 2015. Retrieved June 19, 2015. ^ Hodara, Susan (October 26, 2008). "Communities; Cities Find Sisters Abroad". The New York Times. Retrieved October 26, 2008. Allison, Charles Elmer. The History of Yonkers. Westchester County, New York (1896). Weigold, Marilyn E., Yonkers in the Twentieth Century (Albany: State University of New York Press, 2014). xvi, 364 pp. Wikimedia Commons has media related to Yonkers, New York. Wikivoyage has a travel guide for Yonkers.